Living a Fit and Full Life: Recreate Your Look this Year with Urban Decay! It DOES exist…a completely clear sunscreen that feels amazing, won’t interfere with your makeup, and smoothes your complexion for better application. Urban Defense Complexion Primer will put an end to your search for a sunscreen that you’ll actually WANT to put on. Those with oily skin will be blown away—finally, sun protection that doesn’t feel like a mask! Tired of searching for a sunscreen that would protect her skin without leaving any stickiness or white cast, Wende decided to create her own. Like a force field, this crystal-clear primer feels like nothing you’ve ever tried and protects your skin from whatever the day throws at you. SPF 30 guards against the sun, and our invisible-on-the-skin formula doesn’t leave a trace. Urban Defense not only protects, but also primes and smoothes skin as it minimizes the look of pores—so makeup applies better and lasts all day. Our hydrating gel formula contains conditioning ingredients like sesame seed extract, tomato fruit extract, squalane and bisabolol (derived from the Brazilian candeia tree). We’ve all got our vices. The last thing you need is for the evidence of those sins to be visible all over your pretty face. Enter Naked Skin Color Correcting Fluid. Our innovative, lightweight formula instantly color-corrects and blurs flaws, leaving skin illuminated and bright. Don’t just conceal, correct your worst transgressions with six targeted shades for everything from redness to dark circles. Our innovative, lightweight formula instantly color-corrects and blurs flaws, leaving skin illuminated and bright. Don’t just conceal, correct your worst transgressions with five targeted shades for everything from redness to dark circles. • GREEN counteracts spot redness, including blemishes and broken blood vessels. For overall redness, mix with primer for subtle correction. • LAVENDER balances out sallowness and helps neutralize skin with a yellow undertone. • PINK disguises dark circles, particularly on fair skin tones. Also works well as a highlighter and creates a lifted appearance. • YELLOW is perfect for concealing purple-hued dark circles or brightening lackluster complexions. • PEACH works great for dark circles, dark spots, veins and deep discoloration. It’s ideal for blue-hued dark circles, typically seen in deeper skin tones. • DEEP PEACH is a more intense version of Peach, and masks dark discoloration like circles and sun spots. Tip: Great for deeper or bronzier skin tones! Naked Skin Color Correcting Fluid is the next generation of skin perfection and radiance. Use these shades to correct imperfections and play up your best features. Unlike a lot of cream-based color correctors, our liquid formula is easy to use and always blends beautifully—whether you use a little or a lot. We based the formula off of our Naked Skin Concealer (so you know it’s weightless and crazy good). Our special pigment technology provides a smooth, even application every time. Plus, subtle pearlescent pigments in the unique formula diffuse light to perfect skin, while antioxidant-rich vitamin C and vitamin E condition and protect. This high-tech formula comes in a bottle that looks like our Naked Skin Concealer component but with an iridescent white cap. Sure, it’s cute, but it’s also practical and travel-friendly. You can see the shade through the clear bottle, so it’s easy to find the right one in your bag. No need to carry a brush either; the modern flocked applicator picks up and lays down just the right amount of product. And it’s soft enough to use on the delicate skin under the eyes. Choose from every finish imaginable: ultra-smooth mattes, gorgeous pearls and glimmering metallics. From the palest, shimmery pink to deep, warm black, these neutrals will make you want to get Naked all over again. Every shade features our Pigment Infusion System™ the proprietary blend of ingredients that gives each shade its velvety texture, rich color, serious staying power and blendability. Naked3 includes a NEW double-ended shadow/blending brush. Recreate your look this year with Urban Decay! 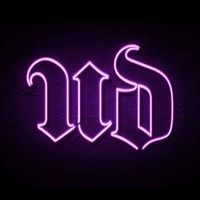 Urban Decay has such an amazing selection of beauty products to love. I had the pleasure of trying the products above and I'm definitely impressed. 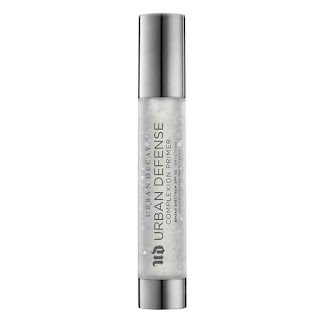 Urban Decay's URBAN DEFENSE COMPLEXION PRIMER BROAD SPECTRUM SPF 30 is a must have in any beauty routine! It's a completely clear sunscreen that absorbs quickly and smooths your complexion for better makeup application. It feels amazingly lightweight which is incredibly considering it's a sunscreen as well as a primer. I also love that it hydrates my skin. It's absolute must have! NAKED SKIN Color Correcting Fluid from Urban Decay is the perfect way to correct all those imperfections! It's a lightweight formula that instantly color-corrects and blurs flaws, leaving skin illuminated and bright. There's six targeted shades for everything from redness to dark circles. Finally you can perfect your flaws with ease! 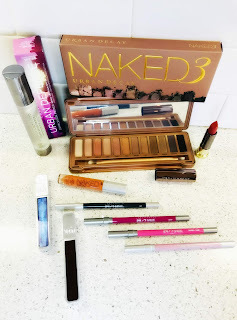 NAKED3 Eyeshadow Palette from Urban Decay is my new BFF! It's 12 new rose-hued neutrals from pale, shimmery pink to deep black matte with rosy red micro-glitter. Each shade blends well and allows you to build the perfect color. It's totally fabulous and you're definitely gonna want one! Urban Decay's 24/7 Glide-On Eye Pencil is the perfect eye pencil! It's a creamy, long lasting and waterproof. 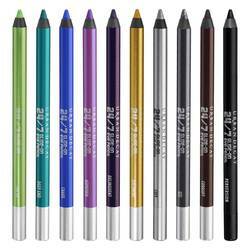 These 24/7 pencils have lush tropical hues, deep metallics, and unusually vibrant neutrals. They're perfect for redefining your look! 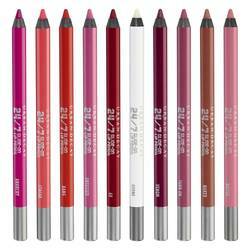 Urban Decay's 24/7 Glide-On Lip Pencil are awesome! They're long-lasting, waterproof liners that glide on smoothly to prime and define. They create fine lines with ease and you can even use them to fill in the lip area as a primer. VICE LIPSTICK from Urban Decay is my new obsession! I'm not usually a lipstick person but this lipstick is incredible. Vice Lipstick comes in a massive lineup of 135 addictive shades and six indulgent finishes. 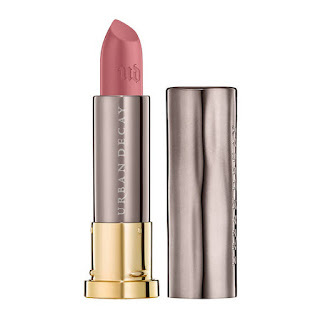 It glides on with ease for perfect lips every time! 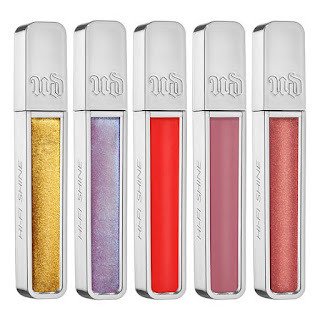 Urban Decay's HI-FI SHINE ULTRA CUSHION LIP GLOSS is ultra-shiny, glides on cushiony-soft and provides long-lasting wear that’s comfortable, not tacky. I also love how hydrated it makes my lips feel. It's the perfect lip gloss! Urban Decay has everything you need to recreate your look this year!